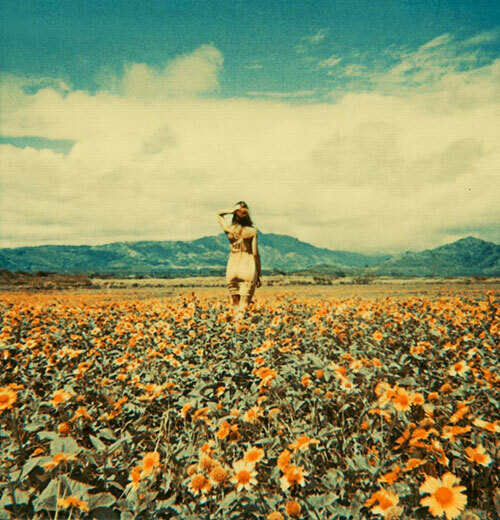 Pulp Art book is a collaboration between photographer Neil Krug and his beautiful model wife Joni Harbeck. The photos were take with expired Polaroid film which has given each photo a grainy, worn texture and gorgeous colors. See more pictures from the book here. Purchase the book here. Tags: fancy seeing you here, fancyseeingyouhere, Joni Harbeck, Neil Krug, polaroids, Pulp Art Book, sarah hanks, Sarah Hanks Ltd.